St. Patrick’s Day is just around the corner! It’s time to get out those leprechaun traps and try to catch them and their pot of gold! Here are 9 ways to trap a leprechaun that are easy to craft, super festive, and lots of fun! Have fun crafting these traps and catching leprechauns for St. Patrick’s Day! Entice those little green men with tempting gold coins on a rainbow road. When they've climbed into the box, pull the string and trap your Leprechauns! Your kiddos will love getting out their Legos and building their own leprechaun trap! This trap is sure to catch those ​sneaky guys! Lure those sneaky leprechauns into this trap with all the colors of the rainbow! Put in some tasty snacks to sweeten the deal! 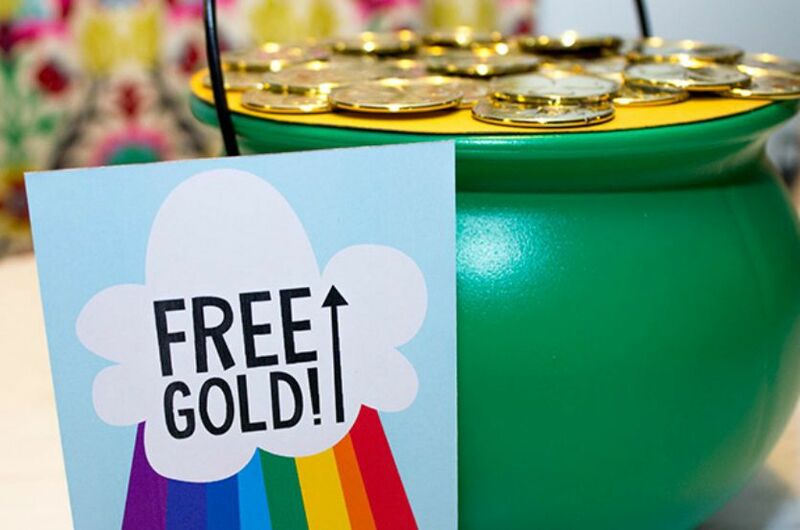 Trick the leprechauns into your trap with this fake pot of gold! This is a fun craft that is perfect for St. Patrick’s Day! Recycle old oatmeal containers to create this beautiful gold leprechaun trap! You’ll catch a dozen leprechauns with this! Use an old strawberry basket and some magically delicious cereal to trap leprechauns on St. Patrick’s Day! Leprechauns can’t resist the yummy smell of cake! They will run straight into your trap just to eat this cake! Create a ramp into a trap with bright and colorful candy to lure the leprechauns in! Leprechauns won’t be able to keep their sneaky hands off this fake gold vault! You’ll trap them all with this trick!